I have heard many good things about the Ramen at Keisuke Tokyo as I used to work in the CBD area but somehow never got the chance to try it. So when my friend suggested trying out the one at Parco Millenia Walk #P03-02, it didn’t take much convincing to get me to agree. Being rather adventurous, I decided to go for the Tokyo Miso (with corn and butter) instead of my usual Tonkatsu. I had my share of bad Miso Butter Ramen so I was rather worried that it will end up being another unfinished bowl of wasted Ramen this time. Trying to stay healthy (or at least I am trying), I decided to go with less oil in the customisation while leaving the taste as normal and the noodle texture at normal as well. The first thing I noticed when my Ramen arrived is that the presentation is quite nicely done. Not that it’s hard to arrange everything considering I didn’t really order anything extra special but I seen times where the corn is all over the place and it can be rather irritating. Well thankfully this is one of those rare times I actually finish everything including the last piece of corn (or till I can no longer pick them up with my chopsticks). While it was my first time and I had no way to confirm that the the oil was really lesser than normal, the soup does taste less oily from my experience at other Ramen stores. Pricing at the store is also decent considering the amount is decent and the location is still considered in the city. 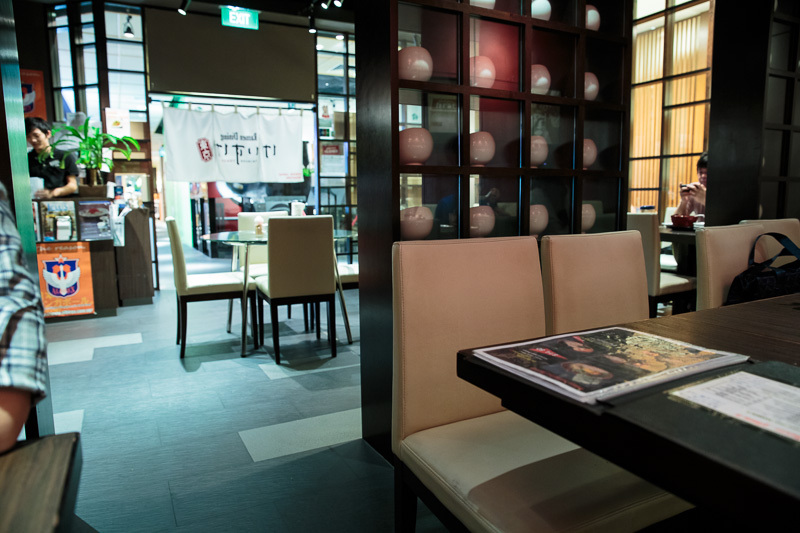 For normal eaters who are looking at a normal bowl of Ramen, it can cost between $14 to $17. 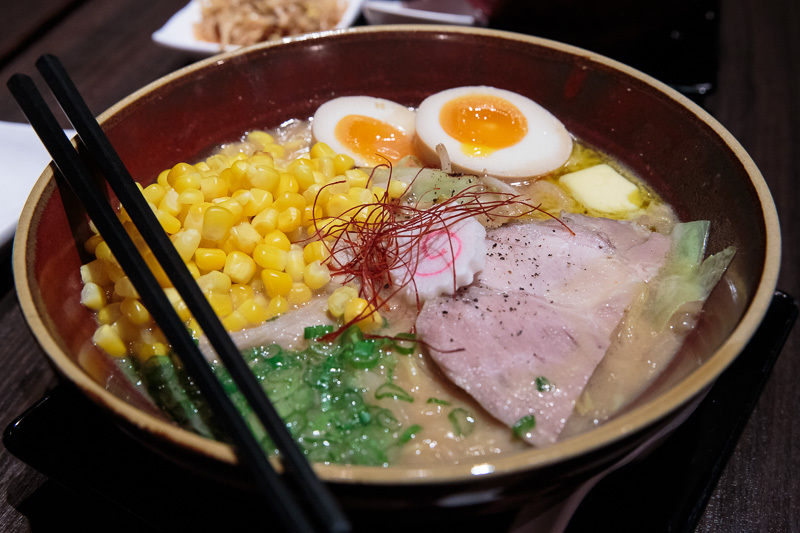 Toppings like an extra egg will cost a bit more but still within the usual standard pricing as with other Ramen stores. Do note that there is GST and Service charges. Something interesting to note for those times where you are too hungry to wait for your Ramen, there are jars of preserved bean sprouts and freshly chopped onions at the table for use in the Ramen. 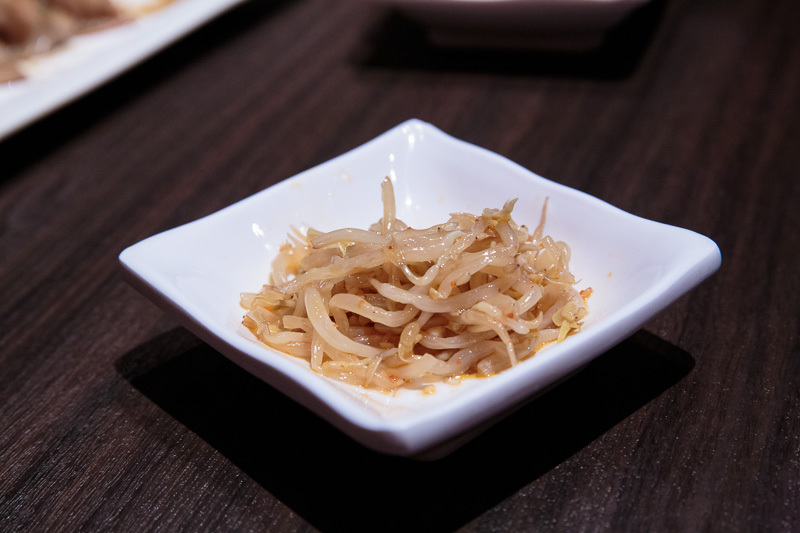 While theses are actually meant to be added to the Ramen, the bean sprouts actually make a nice starter on its own while waiting for your Ramen to arrive. Overall this is one Ramen place I have no 2nd thoughts about recommending to anyone who likes Ramen. In fact I think I should scheme to get more friends to go down with me soon.